Microsoft Active Directory is a standard in corporate environments where authentication and central user-management are required. It’s almost impossible to imagine how system administrators would be able to do their jobs effectively if this technology didn’t exist. Not only is Active Directory a great power, but it's also a great responsibility — and it requires spending a lot of time with it in order to maximize its capabilities. The purpose of this series is intended to aid you with the successful backup and recovery of Active Directory Domain Services with Veeam, giving you all the keys to painless AD protection. Before reading this, you might want to take a look at the Best practices for AD administration series we posted a while ago. The actual series is going to discuss how Veeam can protect Active Directory data — preserve Domain Controllers (DCs) or individual AD objects and recover either of them when required. 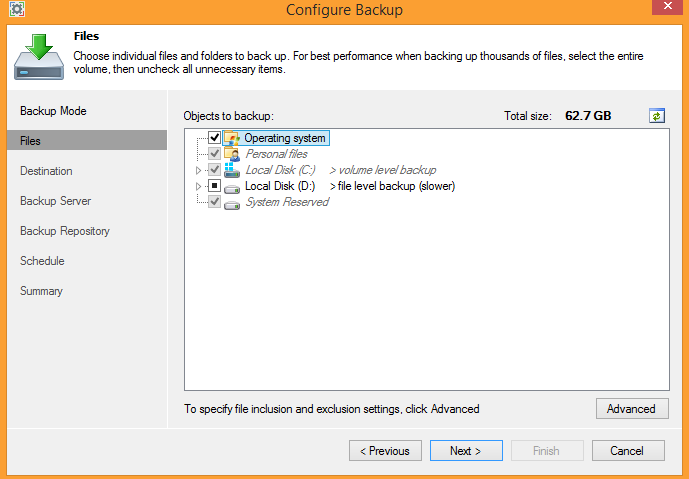 Today, I’m going to talk about the backup options Veeam offers for both physical and virtualized Domain Controllers, and backup considerations to keep in mind while you do that. When performing a full domain recovery, you might want to start from the DC with most FSMO roles, usually one with PDC emulator role. Otherwise, you will have to transfer roles manually after the restore with ntdsutil seize command. Be aware of that, when planning backup and prioritize Domain Controllers accordingly. Refer to Active Directory basics white paper to learn more about FSMO roles. If you have a VMware virtual environment and it is not possible to connect to your Domain Controller over the network, as for example, it can be in DMZ. In this case Veeam will fail over to the VIX and should be able to process your DC. Microsoft's Active Directory Services organize and keep information about individual objects within the forest and store it to a relational database (ntds.dit), hosted by a domain controller. Backup of a Domain Controller has previously been a tiresome process, involving backing up the server’s system state. It’s a well-known fact, that Active Directory services don’t consume a lot of resources of the system, so Domain Controllers are appearing to be the first servers that are always virtualized in the environment. If you happen to share the old belief of “physical DCs only”, please refer to this post. This article doesn't intend to cover a process of Veeam Backup & Replication installation and configuration, as it’s already been defined a few times. But, if you need help with that, please refer to the following video recorded by a Veeam system engineer. Note: AAIP is a Veeam technology that allows software to backup VMs in an application-aware way. This involves detecting applications of a guest OS system and collecting their metadata, quiescing them using corresponding Microsoft VSS writers, preparing application-specific VSS restore procedure to take place upon first boot up of the restored VM, and truncating application’s transaction logs if the backup task is successful. Please refer to the AAIP documentation for details. Not enabling AAIP will not trigger Domain Controller guest OS to realize it was backed up and protected. So, a while later, you might notice an internal warning in server logs — event 2089, stating that there was no backup for “backup latency interval” days. 7. Find the newly created backup file in the backup repository — that’s it! 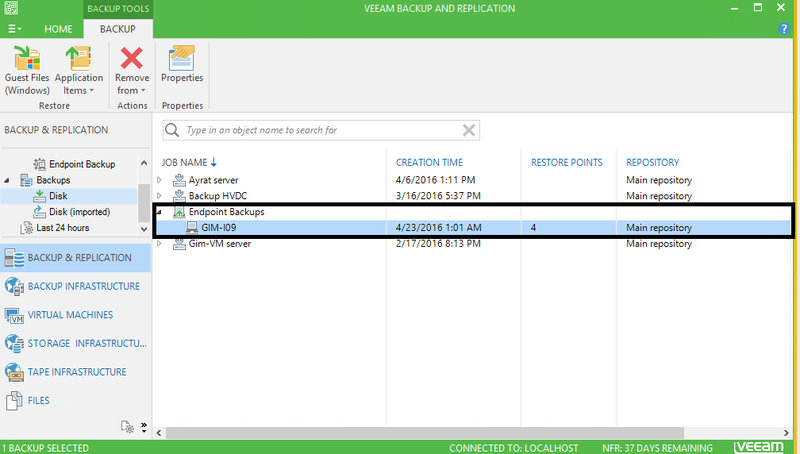 Additionally, you can store a backup in the cloud with Veeam Cloud Connect (VCC) service provider or another backup repository using Veeam Backup Copy jobs or archive it to tape with Backup to Tape job. The most important thing is that backup is now safe and can be restored as soon as you need it. So, you have a physical Domain Controller — or a set of them — running at Windows Server 2008 R2 or newer, and you want to protect your AD? Meet Veeam Endpoint Backup, the utility aimed to ensure that data on your remaining physical endpoints and servers is safe and secure. 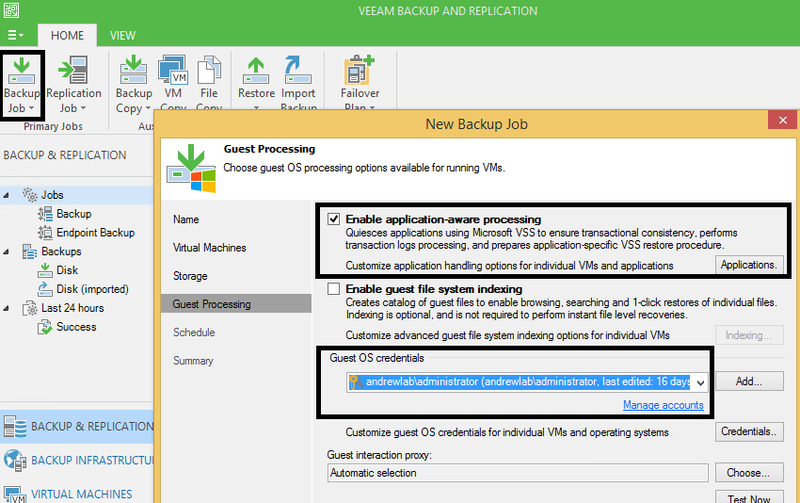 Veeam Endpoint Backup catches the desired data of the physical machine and stores it in a backup file. Then, in case of a disaster, you are able to do a bare-metal or volume-level restore — while having full control of recovery procedures. 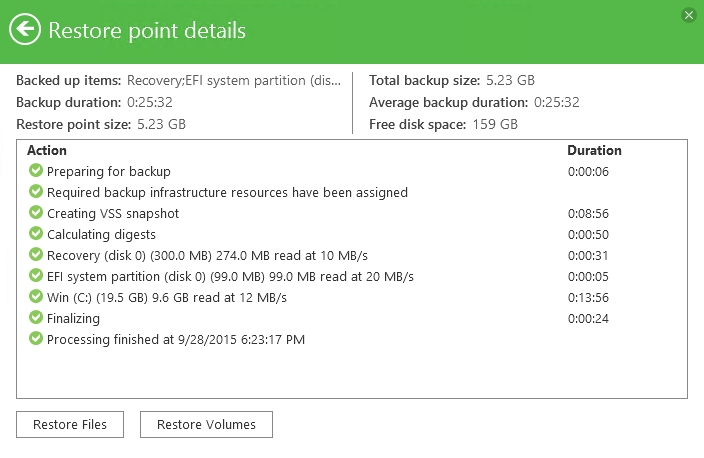 Plus, item-level recovery with Veeam Explorer for Microsoft Active Directory. Note: read these instructions for installing in Unattended Mode. 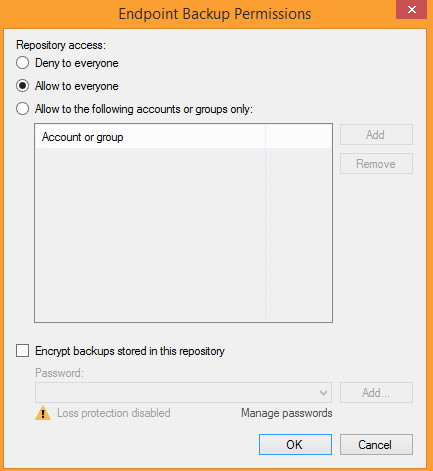 Note: If you have Veeam Backup & Replication instance in your infrastructure and you’d like to use a configured Veeam Backup Repository to accept endpoint backups, please reconfigure it right from Veeam Backup & Replication (Ctrl-right click on a desired repository, allow access to the repository and enable backups encryption if needed, see Figure 4). Note. If you configured a Veeam Backup & Replication repository as a target for DC backup, to find the newly created backup in the Backups > Disk node, placed to Endpoint Backups node. The following articles in this series are dedicated to different Active Directory recovery scenarios, including the restore of a particular Domain Controller, as well as the recovery of individual deleted and changed objects using native Microsoft utilities and Veeam Explorer for Active Directory.